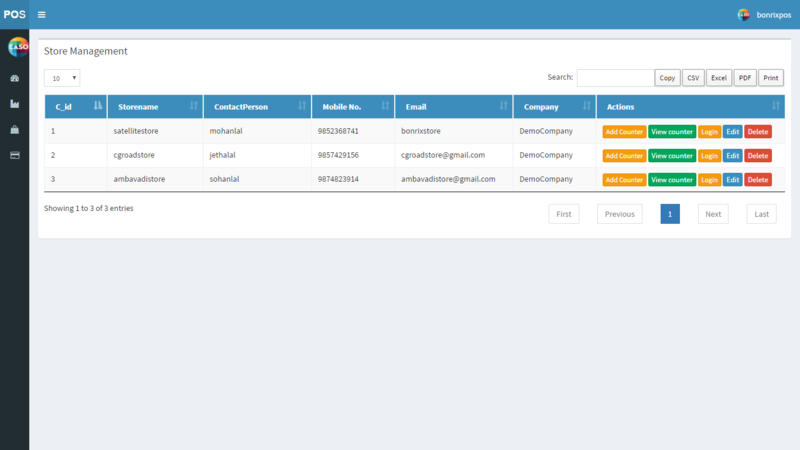 Dashboard :- Its gives all abstract information of company, store, counter in admin account. 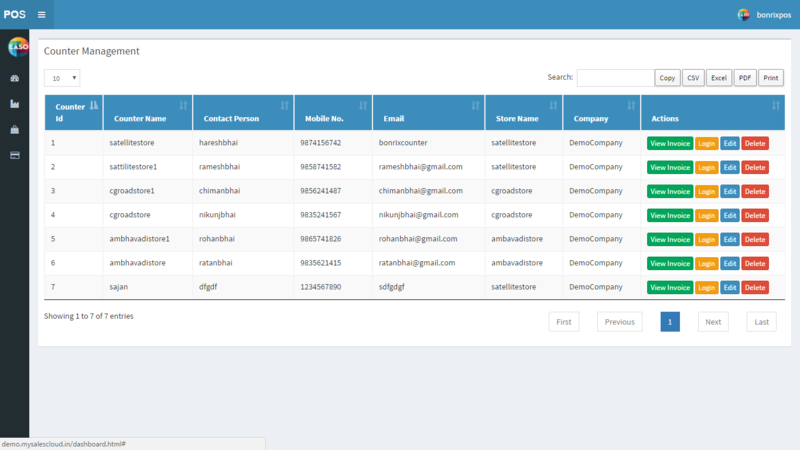 Company Management:- It gives table representation of all company ‘s come under our supervision with contact person name and mobile no. 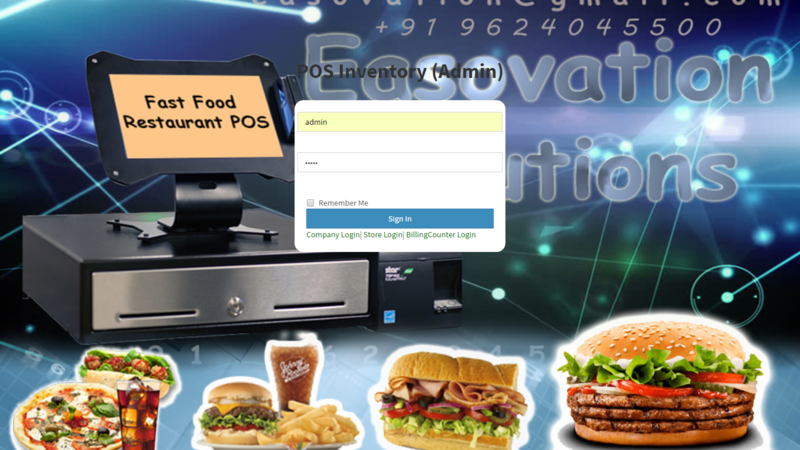 Store Management:- It gives table representation of all store’s present in our company . 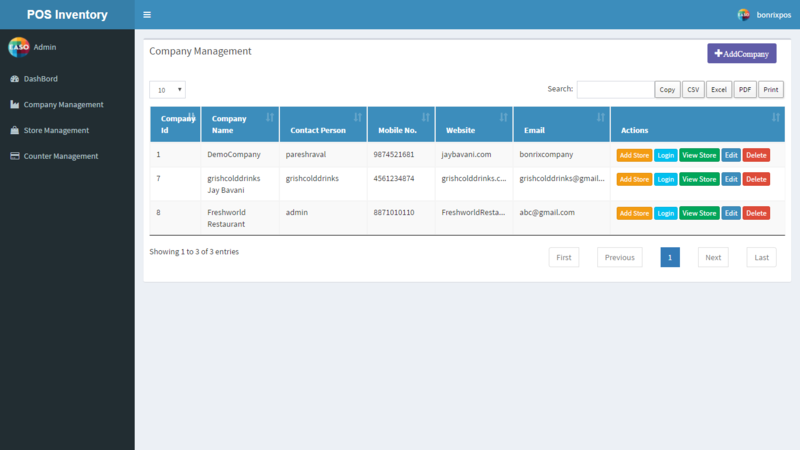 Counter Management:- It Gives table representation of all counter’s present in our store.